NEKTON-Rep-Calcium+D3 is enriched with vitamin D3 and two amino acids. It supports optimum development and maintenance of the skeleton and promotes a healthy calcium metabolism in all reptiles. To prevent and balance out calcium deficiencies and their secondary illnesses. NEKTON-Rep-Calcium+D3 can be easily blended in with crushed feed. 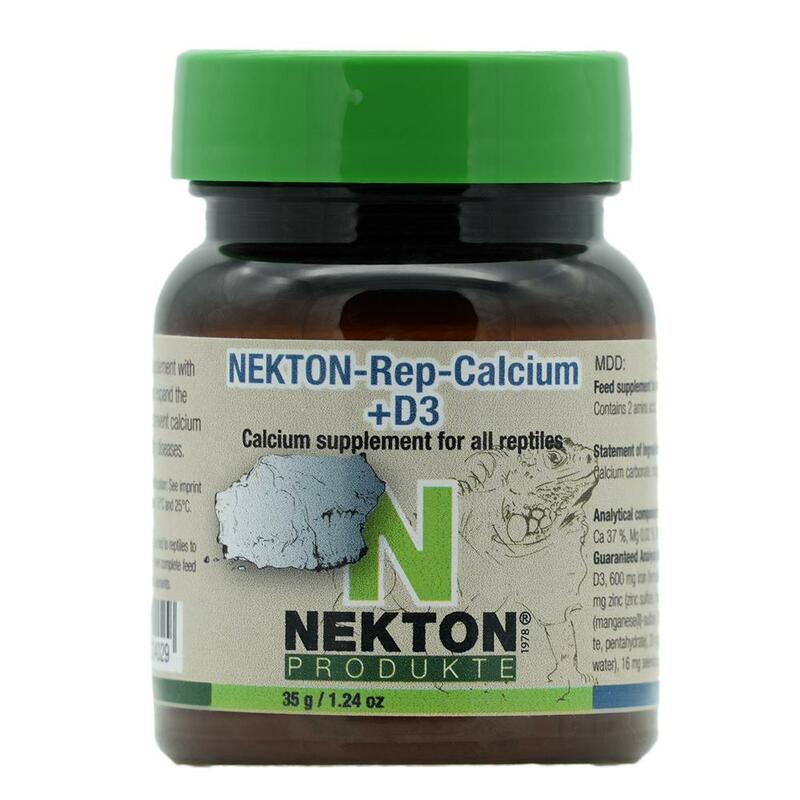 0.25 g NEKTON-Rep-Calcium+D3 per kg of body weight daily, or respectively 1.5 g (1 level measuring spoon) once a week. Not soluble in water, suitable for dusting the food/live feed. NEKTON-Rep-Calcium+D3 should be stored dry and out of sunlight, between 15° and 25° C (59° and 77° F). DO NOT STORE IN THE FRIDGE !! !